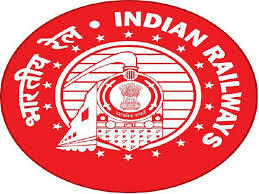 RRB Recruitment 2019 - RRB invites Online applications for recruitment of 1937 Staff Nurse, Dialysis Technician, Health And Malaria Inspector Grade III, Pharmacist Grade III, Radiographer, ECG Technician, Lab Assistant Grade II Posts. This online facility will be available in the Official website www.rrbchennai.gov.in from 04.03.2019 to 02.06.2019. Prospective candidates will have to apply online after carefully reading the detailed advertisement regarding the process of examination, eligibility criteria, online registration processes, application fee/ intimation charges, pattern of examination, Syllabus, How to Apply, Question Paper, issuance of admit cards/call letters, Exam Date, Result Date etc. and ensure that they fulfill the stipulated criteria and follow the prescribed processes. Candidates are requested to check their education qualification required for various Railway Recruitment Boards (RRB) job opportunities. Certificate as Registered Nurse and Midwife having passed 3 years course in General Nursing and Midwifery from a school of Nursing or other institution recognized by the Indian Nursing Council (OR) B.Sc (Nursing). Note: The Indian Nursing Council has also laid down certain special concessions for the above courses in respect of Auxiliary nurseMidwives, Midwives and ‘B’ Grade Nurses, by way of reduced course period etc. Candidates obtaining the qualification prescribed above, under these concessions will also be eligible for recruitment. (a) Degree in Science (Biology) from a recognized university or equivalent AND (b) Diploma / Certificate Course (2 years) in Dental Hygiene from an institute recognized by Dental Council of India AND (c) Registered with Dental Council of India as Dental Hygienist AND (d) Two years experience as Dental Hygienist. Note: Qualification regarding experience is relaxable at the discretion of the competent authority in case of candidates belonging to SC/ST, if at any state of selection the competent authority is of the opinion that sufficient number of candidates belonging to these communities possessing the requisite experience are not likely to be available to fill up the posts reserved for them. B.Sc., plus (a) Diploma in Haemodialysis (OR) (b) Two years satisfactory in-house Training / Experience in Haemodialysis work in a reputed institution (Document proof to be uploaded). (i) Bachelors’ Degree in Physiotherapy from a recognized University and (ii) Two years practical experience in Physiotherapy from the Government / Private Hospital with atleast one hundred beds. B.Sc and Diploma in Audio and Speech Therapy and(ii) 2 years experience in the related field. 12th (+2 stage) from a recognized Board/University with multipurpose workers course from Institutes recognized by Central/ State Governments. 12th (10 + 2 stage) in Science plus (a) Diploma in Medical Laboratory Technology (DMLT) (OR) (b) Certificate Course in Medical Lab. Technology at par with ) Diploma in Medical Laboratory Technology (DMLT)subject to the fulfilment of (i) The course has been done from the institution which is recognized by a University or Technicial Board of State Government/Central Government authority; (ii) The duration of the course is at least 01 year; (iii) During the course the candidate should have done the training on full time basis; and (iv) At the end of the course, there should be system of examination which has beensuccessfully passes by the candidate.